Friends of the North Fork and White Rivers is proud to take note of action and involvement in 2016 in the watershed, instrumental to improving water quality. Here is a summary of actions and involvement. The city of Bull Shoals voted to assess a sales tax that will enable the construction of a wastewater treatment facility costing 9.5 million dollars. They have received a 500,000 dollar grant from the Delta Regional Authority to help with the project, as well as a 4 million dollar grant from the US Department of Agriculture. The city of Batesville dedicated their new wastewater treatment plant. This 10 million gallon per day capacity facility and the updated collection system was a 50 million dollar project paid with sales tax and grants from the Arkansas Natural Resources Commission. Friends continued its commitment to education and awareness of the importance of healthy waters through scholarships and public engagement. An annual scholarship was awarded to an Arkansas State Univerity Mountain Home student to help further their education in the natural science field. The Invasive Species Program was co-hosted by Friends and ASU Mountain Home Stream Team, addressing the threat of economic and ecosystem harm from non-native species. Friends was a partner in Insectival and Beyond at the ASU Mountain Home campus, providing insect and ecology themed activities for children. Friends members staffed booths at many area expos and fairs such as the North Arkansas Fly Fishers Annual Sowbug, Greggs Farm Services Wildlife Expo, Hatchery Outdoor Adventure at the Norfork National Fish Hatchery, Cotter Trout Festival, and the Fly Fishing Federation’s Fly Fishing Fair. Friends’ members love to be in the water. In June, another successful Crooked Creek Cleanup and Crawfish Boil was enjoyed by many. The Hicks Creek stream team monitored water quality on Hicks Creek, which is on ADEQ’s 303(d) list as impaired due to high levels of pathogens. Friends Stream Team Methodology is being researched and formalized for future stream teams. Friends sponsors events that showcase and encourage public use of the watershed. Friends was proud to be a major sponsor of the 50th Annual Explorer Scout White River National Canoe Race that starts at Bull Shoals State Park and ends in Batesville. Friends collaborates with other watershed organizations and government agencies to address issues that have regional as well as local impact. 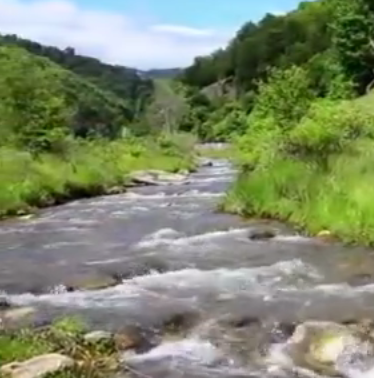 Money from the Friends legal defense fund was donated to the Buffalo River Watershed Alliance to aid in the legal issues surrounding the large hog farm near Big Creek in the Buffalo River Watershed. Friends’ board members were active volunteer stakeholders in the formation of the Strawberry River Watershed Organization which was finalized in 2016. The landowners in the Strawberry watershed are now eligible for Section 319 grants administered by the ANRC to aid in land improvement projects. Friends’ members attended the White River Multibasin Workshop, ADEQ’s Annual Watershed Conference, and the Forestry and Drinking Water Protection Conference. Friends continues to work with other organizations and agencies in matters of waste from poultry farms and encourages the statewide adoption of nutrient management plans for poultry farms. Friends collaborates with other organizations that help with statewide and even federal policy. Friends’ board members were active at the Annual Arkansas Public Policy Panel Assembly as well as the PPP’s First Annual Environmental Policy Summit. Friends continues its affiliation with the Arkansas Wildlife Federation. Friends is represented on the new Arkansas Environmental Defense Alliance that was formed to be a watchdog for environmental legal and policy issues. Friends is a voice for watershed protection. Comments to the ADEQ have been submitted opposing the reclassification of the Norfork Dam tailwaters from the ADEQ 303(d) impaired list. Comments were submitted to the ADEQ on the administrative completeness of the Regulation 5 permit for the C&H Hog Farm. Comments were submitted requesting a public hearing on the storm water permit renewal for Bluebird Sand Company. Friends continues to pursue enforcement of numerous permit violations by the sand operation that threaten Lafferty Creek. Friends of the North Fork and White Rivers is a 501(c) (3) tax exempt volunteer organization that is active in many areas critical to clean healthy waters. The Board of Directors encourages all of our members to speak, participate, act, lend a hand, an idea or a skill. Thank you for the privilege to serve you and for your support of Friends. With your continued support we look forward to a productive 2017.